When you have a new baby you never know what you’re going to need till you need it. There is so much to consider from clothing to nursery furniture to all-things-diapers that you might overlook some of the more “off the beaten path” items. Plus they grow up so fast – you might be thinking all newborn thoughts from the get-go, but they’ll be toddlers before you know it! 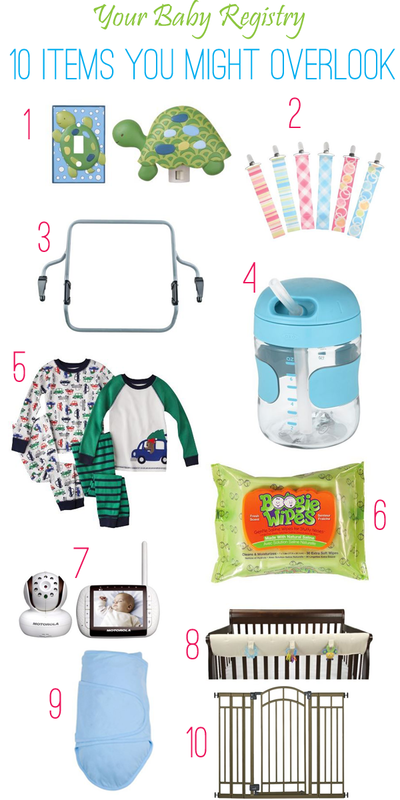 Looking back on my experience, here are 10 things I have a feeling you might forget to add to your baby registry, especially if you’re a first time mom. Even if you don’t receive these as gifts (people find the cutest outfits!) at least you’ll have one master list to use to stock your nursery before the baby arrives. 1. Night lights. You’ll be up all night and guess what? It’s really dark! Get one for your baby’s room and one for the bathroom too. 2. Paci clips. If you’re going to use a paci, you’ll want to use a clip as well. Those darn things fall out all the time! 3. BOB car seat adapter. I didn’t think we’d need this. I was wrong. Long after Mazen was given the go-ahead to ride in the BOB without it (walking only), I still put him in the car seat adapter to keep him extra warm and so he could look at me while we strolled. 4. Sippy Cups (a few different kinds). A great gift for a new mom is a handful of different kinds of sippy cups (including your favorite). Of course the second Mazen was ready for water I didn’t have a single cup at home. I ran out to buy a few different kinds. These OXO Tot cups with a straw are our favorite. 5. Pajamas beyond newborn size. Pajamas are the number one clothing item that I am always running to Target to get. Your baby grows up so fast, it’s hard to think beyond the newborn stage of clothing needs! 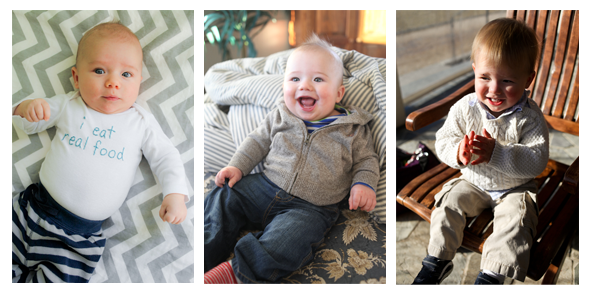 We love these 4-piece sets that are mix and match by Carter’s. 6. Toiletries and medicines. Another “you don’t know you need it until you need it RIGHTNOW!” Think nose saline solution, Boogie wipes, a Nose frida and baby Tylenol. 7. Video monitor. I thought I could live without one before I had a baby. I was wrong again. I’ll sing the praises of my video monitor till the cows come home. It was great to see Mazen’s chest breathing as a newborn and it’s nice to see if he’s standing or reading a book in his crib now. 8. Crib rail covers. We have both the fleece kind and the chewy kind. Both have been great – no more tooth marks! 9. Swaddle wraps or a Miracle Blanket. I thought we’d be able to swaddle Mazen with the lovely muslin blankets we received. We have used those every day since his birth but never for swaddling! For swaddling we needed something stronger – the Summer Infant Swaddlemes and the Miracle Blankets were the best. 10. A baby gate. Because before you know it, your little bundle of joy is going to be running to the stairs! Create a Target baby registry here! The above links are not affiliate links. Love me some Target though! This post is sponsored by Target. The adventure begins here: Discover all Target has to offer for your baby registry and throughout your motherhood journey. Great list! # 3 was a huge hit for us too! 🙂 Love that BOB! I’m not a mother (not sure if I ever will be) but as a member of society who does go to things like baby showers this post was great. It is nice to be able to pick up gifts that aren’t the same as everyone else. I loved the BOB stroller adapter! We wouldn’t have lived without in the first couple months! I just bought a baby shower gift from Target and got a video monitor, good to know I was on the right idea! 4 out of 10 is more than nothing though! My mom just bought me some Boogie Wipes….and they work like a charm! Both kids are sick right now so I’m going through the like it’s nobody’s business..but no dry, cracked noses in this house! 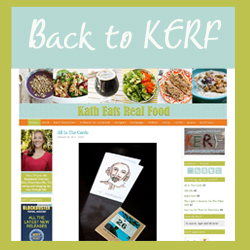 Just wanted to say that I am so grateful for your blog!! I have been reading it the past 5 months. We had our third baby in Oct. You forget so much about the infant stage and it is wonderful that you have shared your journey!! Just wanted to share the must-have toiletries and medicines for my daughter. They were ‘tooth tissues’ and teething powder (I liked the Weleda one in yellow box.) 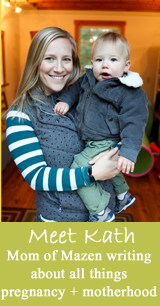 What did you use to help Mazen through difficult teething days? Teething was one of the hardest parenting stages for me… Chloe had cut all four of her bottom incisors at the same time and got blood blisters that would pop and make her look like a little vampire….! It was really freaky and cute at the same time! Curtains with blackout panels for the nursery! Wonderful for daytime napping.